It is amazing what you occasionally come across lurking in the back of cupboards etc. 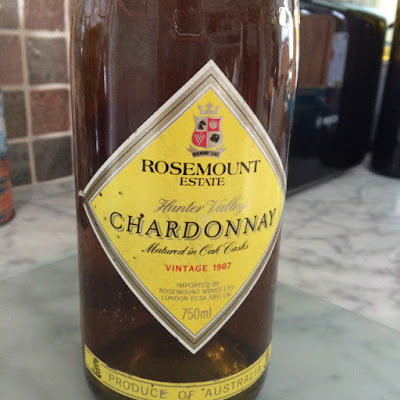 Take this 1987 Hunter Valley Chardonnay from Rosemount, which we unearthed on Sunday. 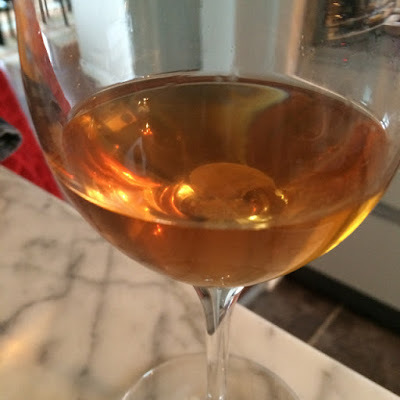 Leakage down to the shoulder and the wine several shades darker than when this Chardonnay was bottled. 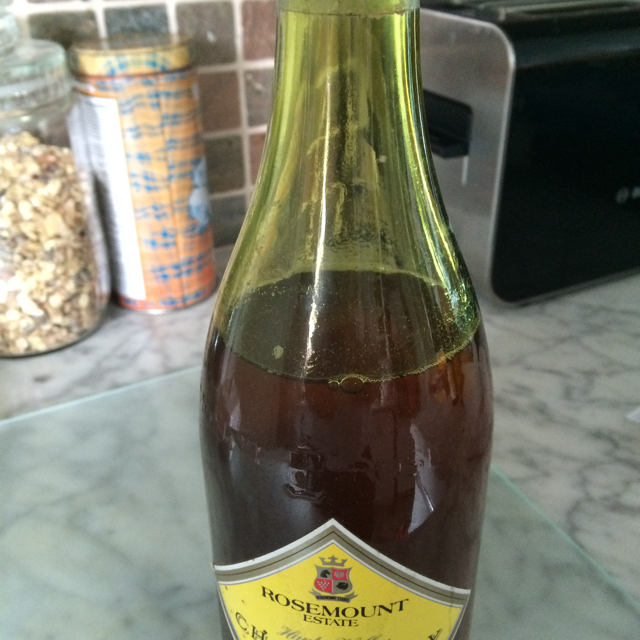 I pulled the cork to have a taste, expecting to pour the contents down the sink. Typical Australian Chardonnay it wasn't but it had developed into an interesting and very drinkable quite rich Australian Fino. Look out Jerez! Sometimes wine can be remarkably indestructible! 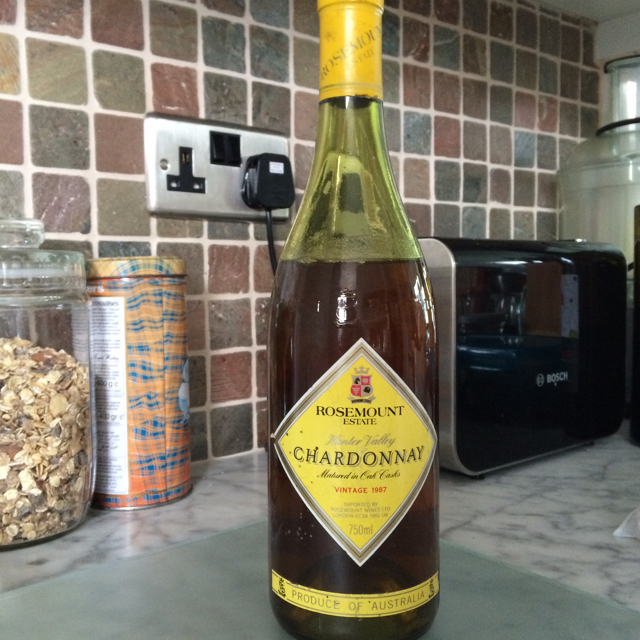 Striking out: driving from London to the Loire!